By this point, you’ve begun noticing a new surge of energy. There’s something new in the air. The digital world seems to be shifting. Which then pours over into our physical reality. It’s as if people are tuning into something. A new Energy? A global awakening? I don’t know what it is. But I do know that it has everything to do with YOU. Since 1999 times started getting more chaotic. It reached a point after the intensity of 2017 where people were forced to change. Because trauma and pain are the best ways to change somebody. It isn’t pleasure and good times like you’d imagine. As you read this article the Energy will be amplified. Don’t overthink it. Only let it flow through you. Open your mind to a new way of being. Alexander Cortés put out the most practical video on consciousness. It was easy to understand and had ZERO WOO-WOO. In it, Cortés talked about the coming Diamond Age. The Diamond Age will be unlike anything seen before. Because history can’t repeat itself. We’ve never before been in a time quite like this one. Just like the Greeks had their own Golden Age. If you don’t already understand consciousness then watch his video. In my now viral article How to Enlarge Your Ego. I described awareness. Which is what Cortés calls consciousness and Cernovich often calls Energy. Words are more powerful than you’d ever imagine right now. Simply because they are fueled by strong emotions. We’ve had racial guilt, victim mentality, and other limiting narratives shoved down our throats. For our entire lives. Thanks to the shift that is taking place. People are getting sick and tired of holding back their true selves. In response, you’re seeing more people cutting off their mental chains. Even you yourself are shifting whether you know it or not. More and more people are learning the power of their mind. More people are finding freedom in their daily lives. But this isn’t all just happy go lucky woopty woop. Because there isn’t really anything magical about any of this. As you’ll learn nothing is by accident. You only get what you want by first thinking it. And then taking action to go get it. 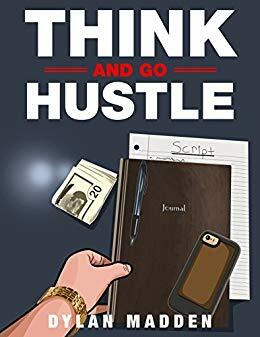 You must think and then go hustle. Not only that but you must fear no one. The times of fearing others are behind you. Fear is how society has kept you in line. But now you can use technology to empower yourself. You can control your reality by brainwashing yourself. Kanye has already alterted reality. Not by taking massive action. Instead by saying 7 simple words. Nothing fancy but and elaborate. Just honest and direct. Nothing is special about it. Kanye West simply stated his opinion. Yet in the world that’s dying off. You’re not supposed to say that. Because everything is about this thought process versus that thought process. If you’re in Hollywood you’re supposed to think like this. And if you subscribe to this identity, you’re supposed to do, be, and say this. Kanye West opened up a communication line between to ways of being. It’s like North Korea and South Korea meeting each other without any guns. Now people are opening up to another way of being. They’re seeing that we all want the same stuff. People are connecting with each other and becoming friends. Maybe we have more in common than we thought. Mike Cernovich grew up as a bullied fat kid. If you read Gorilla Mindset you find a common theme. Never give up and ALWAYS push further. I instantly connected with that theme. Because my own life has been about pushing past limits. I couldn’t read until second-grade. I was told I had a learning disability. I overcame a decade of suicidal thoughts. But this only happened because I refused to give up. I knew that there was more to life than what I currently saw. This brought me to do what you’re now doing. Figuring out life, creating my vision, and then living life on my terms. I’ve found through direct experience the Truth. It’s clearly revealed in every spiritual scripture and mindset book. You can manifest your reality. The life you’re living isn’t as concrete as you believe it to be. Yes, there are principles that work. There’s an art to making money. Just like there’s an art to being yourself. But ultimately you are solely responsible for everything else. Your reality is shaped by your will. As Mike Cernovich put it, YOU are an architect of reality. This is what I’ve been alluding to since last year. Life is a game and you are the player. Your ego is simply your character. 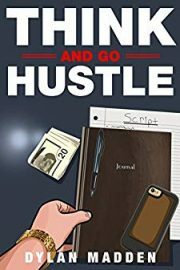 That’s why I wrote Think and Go Hustle to be like a real-life video game. Each level (chapter) builds upon the next one. YOU become the character in your own game by the last level. And you do this by applying your mind to reality. I don’t care who you are. That doesn’t change anything. All I care about is that YOU become aware. That you start building your own life instead of living someone else’s. But only you can decide to do that for yourself. Because you’re an architect of reality already. With or without being intentional or not. Here’s some proof for you. What are you reading this article on? You decided to read on this particular device. What kind of clothes are you wearing at the moment? You decided to dress up like this. Just like you make the final decision on everything else. There’s nothing complex about creating your reality. All that creating reality requires is that you become more aware of your decisions. Then and only then will your life start to change. So decide what you’re going to do next. As you do this and continue to follow through with your decisions. Your confidence will soar to heights you didn’t think possible. For the first time in your life. You’ll feel in control and happy. How Will You Story Go? Every decision that you make is creating your story. From the work that you do to music you listen to. Everything is building your story. Take this information and make it sound magical if you want. But you’ll end up overthinking it like everyone else. I know that I overthought it for the longest time. It wasn’t until I understood that we are all living a story arc. That everything started changing for me. You see, everything that you do is preparing you for the next step. In my reality, I became great at making money from picking up trash. Now I’m applying that skill set to making money online. As I’ve said before, there are levels to this stuff. And believe me, you’re just getting started. There is so much more that you’ll learn and achieve in the coming weeks. For now, just focus on understanding that you are the awareness. NOT THE EGO. Your ego is simply your tool to interact with the world. I’ll see you in the game. You’re told to kill your ego. You’re told that your ego is the enemy. But what if that’s a lie?